iTunes is a media player, media library, online radio broadcaster, and mobile device management application developed by Apple Inc. It is used to play, download, and organize digital audio and video (as well as other types of media available on the iTunes Store) on personal computers running the OS X and Microsoft Windows operating systems. The iTunes Store is also available on the iPhone, iPad, and iPod Touch. 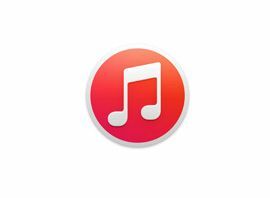 iTunes 12 is the most recent major version of iTunes, available for OS X v10.7.5 or later and Windows XP or later; it was released on October 16, 2014.
iTunes 12.2 adds Apple Music to the application, along with the Beats 1 radio station. This release was simultaneous with the release of iOS 8.4 and Apple Music on iPhone, iPad and iPod Touch. iTunes 12.1.3.6 was officially the last version to include support for Windows XP and Vista.